The Love Bug (1968), sometimes referred to as Herbie the Love Bug, is the first in a series of comedy films made by Walt Disney Productions that starred an anthropomorphic pearl-white, fabric-sunroofed 1963 Volkswagen racing Beetle named Herbie. It was based on the 1961 book Car, Boy, Girl by Gordon Buford. The movie follows the adventures of Herbie, Herbie's driver Jim Douglas (Dean Jones), and Jim's love interest, Carole Bennett (Michele Lee). It also features Buddy Hackett as Jim's enlightened, kind-hearted friend, Tennessee Steinmetz, a character who creates "art" from used car parts. English actor David Tomlinson portrays the villainous Peter Thorndyke, owner of an auto showroom and an SCCA national champion who sells Herbie to Jim and eventually becomes Jim's racing rival. I didn't see this one in the theater, but I did see Herbie Rides Again. 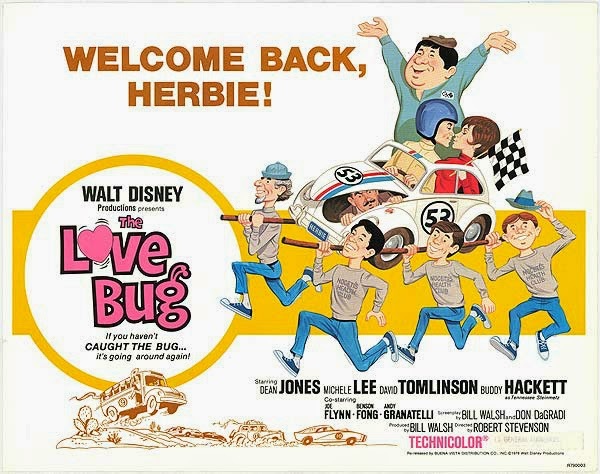 I remember seeing at least one Herbie film in the cinema and I thought it was this one, but I must be wrong because I wasn't born in 1968 :) Must have been Herbie Goes Bananas. Oh, my. I never saw any of the Herbies. From you description, though, I bet my grandkids would like the series. Next time they are here, I’ll have to netflix the Love Bugs for them. This one I have seen! Such a great movie. I remember watching this one with my mom when I was really little! And I still want a Bug to this day because of it. Never heard of this, but must be fun to watch. This post is such a fun sight. I remember Herbie fondly, though not quite lovingly. Times were fun back then. Thanks for the nostalgic road tip. You gotta love that little critter, its got so much infectious personality. I think I have seen all the old ones. My dad loved them and every time one was on TV, we would watch. 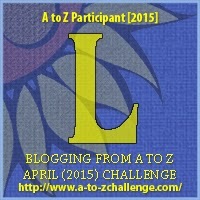 I watched the newer one with Lindsey Lohan with my daughter. She liked it. I'm sure Herbie sold a lot of Volkswagons. Herbie is awesome! I wasn't born yet when the original version came out, but I saw it when I was a child. Like that version better than the one with Lindsay Lohan. One of my favourites. I think I saw a couple of Herbie movies. Did they make more than two? it was a great concept. Didn't realise it was inspired by a book. Oh, how we loved the original Herbie! Daddy bought a white Volkswagen in about 1967 or 1968, One year, the jenny he used to plow the garden was down. There was a hard freeze coming and the tops of the potato plants needed to be covered up so the frost wouldn't kill them. Daddy hooked the Georgie stock to the VW and had Mame pull him and the plow through the garden. I can still hear him hollering, "Whoa! Jessie Ruth! Whoa!" We took a picture, and they submitted it to Small World magazine (That you were subscribed to when you bought a new VW.) It was published. Memories, memories. Who can forget The Love Bug whether it's a car or between two people? I always hated those cars cause I got punched a lot. 2 brothers, one on either side of me, in the back seat of the car. I can remember watching this with my parents when I was a kid- so fun!